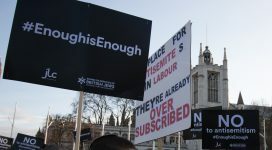 Members of the Jewish community and various others in support gathered in Parliament Square to protest anti-Semitism within the Labour Party. Here’s what it was like to be there, and here’s my take on it. BRS is recruiting for a new Rabbi. Advert & Job Description are provided. 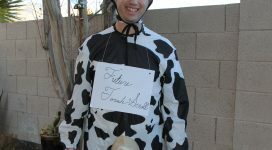 The Book of Leviticus focuses a lot on animal sacrifices. How can contemporary Jews make sense of this? Bromley Reform Synagogue’s 2018 Annual General Meeting can be watched live here from 8:00pm on 13 March 2018. Rabbi Jason Holtz and Dr Omar Taha join together to talk about Abraham, a prophet that both Jews and Muslims look to for guidance and inspiration. Live stream begins at 3:30pm on the 11th of March 2018. 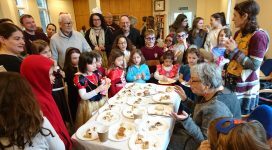 BRS has a fantastic Purim Shpiel and a ‘bake off’ Hamantaschen competition. Gallery below.